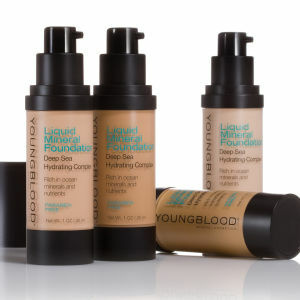 I have tried a lot of foundations over 35ish years and absolutely love young blood, both my girls use it as well, good tip though, Youngblood primer makes it so easier to put the foundation on. I love this powder. Amazing for a great coverage and lasts the whole day. It's great shopping with Ryan as they are fast and cheaper. i like this product alot. is probably the best loose mineral powder i have used and seems to be good for my acne prone skin. i feel like a larger than 10g container would be good or a little more affordable for the 10g. love the colour match for my skin. I was introduced to this product because I wanted fuller coverage without having, looking or feeling like I had a tonne of foundation on. I use this everyday now and love it. I only need to put a little on and it works so well and is so light weight. After years of searching this is the best makeup i've found for my skin type and skin tone so far. Light, natural and easy to put on! I love this foundation. I get very congested skin which also gets very oily through the day. 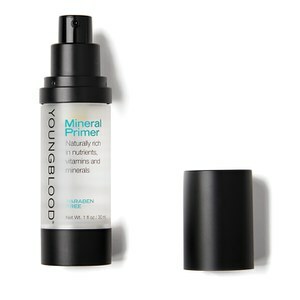 This foundation works wonders for me and has helped with my congestion and breakouts. Beautiful and lightweight, but build-able coverage. Also lasts a lot longer than most other foundations I've purchased. Perfect. The loose mineral powder gives an amazing coverage for covering up acne scarring! I have oily skin and use this in conjunction with the pressed powder to give me an all day matte complexion! LOVE LOVE LOVE!!! !